What is CSR Readiness® Pro? The CSR Readiness® Pro Suite is comprised of the patent-pending risk assessment program CSR Readiness® and the award-winning CSR Breach Reporting Service™. How does CSR Readiness® work? CSR Readiness® is an online self-assessment tool that helps you review, revise and revisit your business processes for handling the personally identifiable information (PII) of your customers, employees, and vendors, as required by a host of legislation and regulations. What does the CSR Breach Reporting Service™ do for me? In the event of the actual or suspected breach of PII, the CSR Breach Reporting Service™ reports to authorities and notifies consumers, as required. Your call to the in-house CSR team of privacy professionals initiates a custom evaluation of your incident to determine if authorities and consumers must be notified. CSR files the necessary breach reports on your behalf, and consumer notification can be prepared with your input. 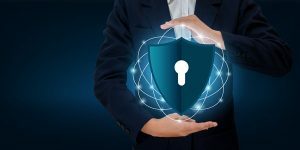 Many state, federal and international laws require businesses to protect the personally identifiable information (PII) of employees, vendors and customers. Penalties for noncompliance can include fines, prosecution and even jail time. Ohio and Michigan are just two examples of many jurisdictions that require businesses that deal with their residents to maintain comprehensive risk assessment, remediation and monitoring programs related to their handling of legally protected PII. Does the CSR Breach Reporting Service™ only cover items handled by AccuShred? No, the CSR Breach Reporting Service™ covers the location contracted with AccuShred and handles reporting and notification as needed for the breach of all PII data your business may have, whether it is stored in your office, in file an employee takes home, or on a business laptop that is stolen while you are away on vacation. 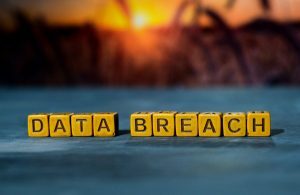 A breach can occur in many ways, including through lost laptops or smartphones, loss or improper disposal of paper records, intrusion into your network or PC by hackers, and theft. The definition continues to expand. No. The CSR Breach Reporting Service™ reports to authorities and notifies consumers, as required In the event of the actual or suspected breach of PII, and this can reduce your liability; but the service is not insurance to cover loss or legal costs. See the full list of CSR Readiness Pro Edition FAQs.